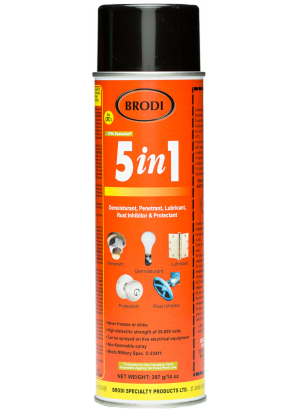 5 in 1, Protect your live electrical devices from moisture. 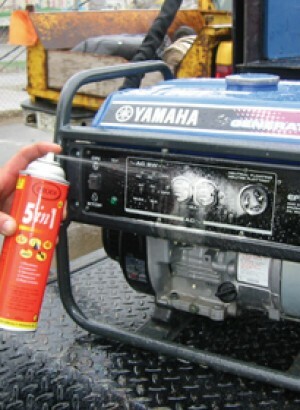 Removes moisture, penetrates, lubricates, prevents rust, protects metal & electrical parts. 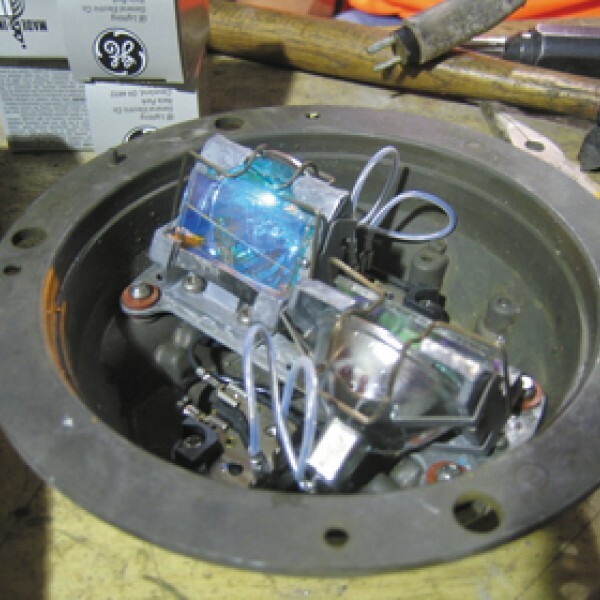 Protect your live electrical devices from moisture. 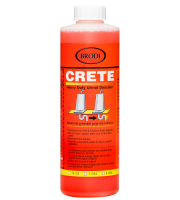 Removes moisture, penetrates, lubricates, prevents rust, protects metal & electrical parts. 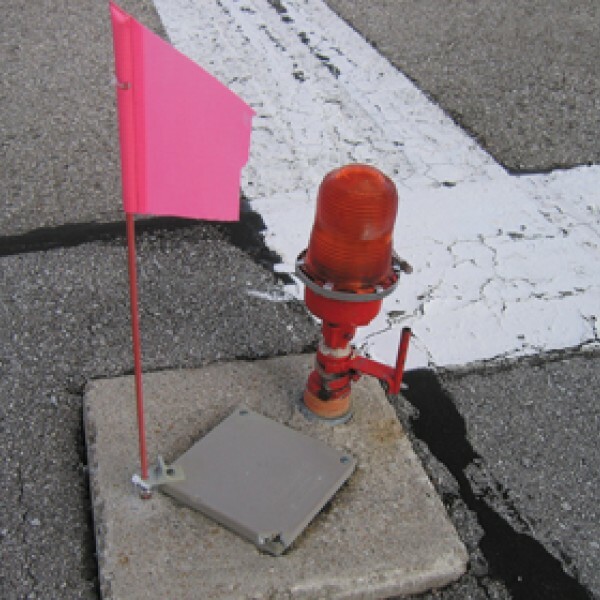 Protect your electrical equipment from flooding exposure. 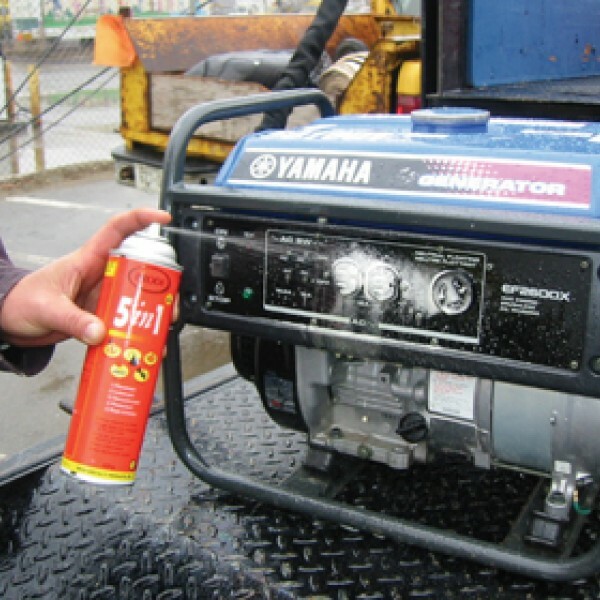 An all purpose, non-flammable, non-conductive mechanical & electrical spray. 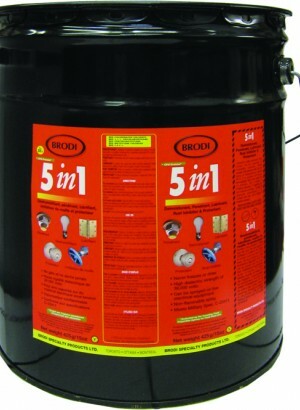 Displaces moisture in wet electrical systems. 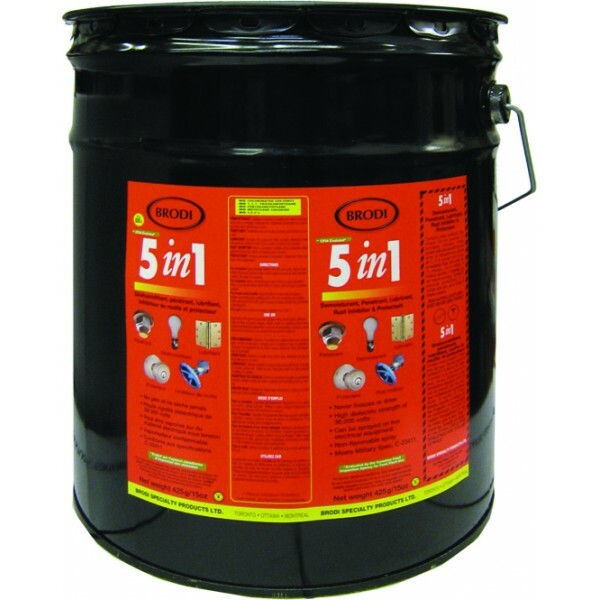 Penetrates through rust and corrosion to loosen frozen nuts and bolts. 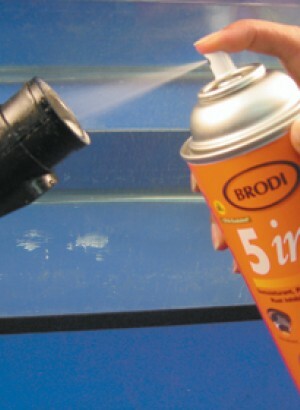 Leaves treated surfaces protected with a residual anti-corrosive film. 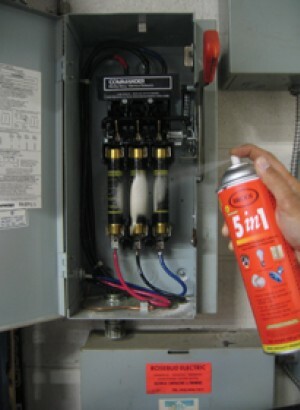 Can be used directly on live electrical equipment. 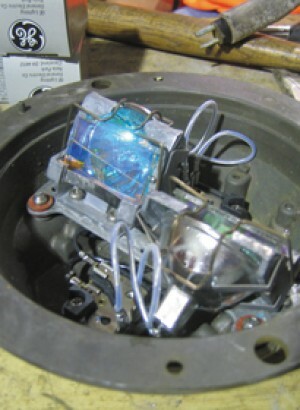 Live light socket in the fish-tank trick! 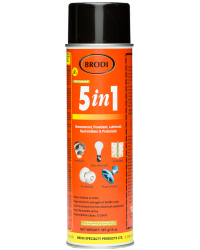 5 in 1 - Spray directly onto engines to protect from rust and corrosion!
! NOTE: 5 IN 1 IS CURRENTLY ON BACKORDER. DELIVERY IS CURRENTLY 5 WEEKS ! 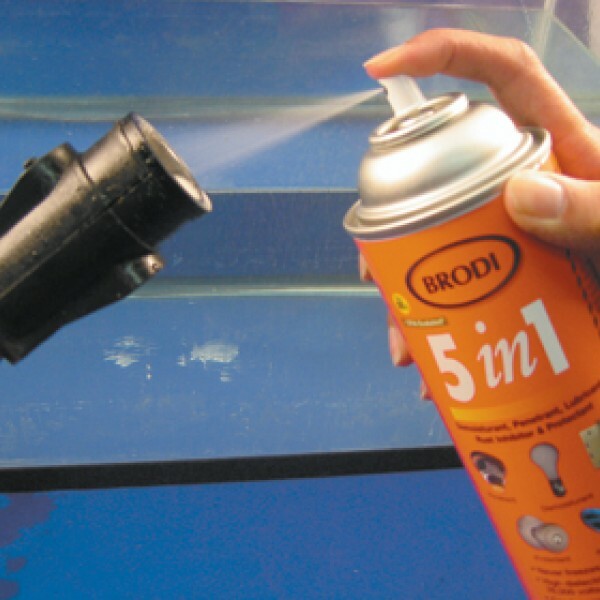 Our best all-purpose spray is not only displaces moisture, but takes the place of water. 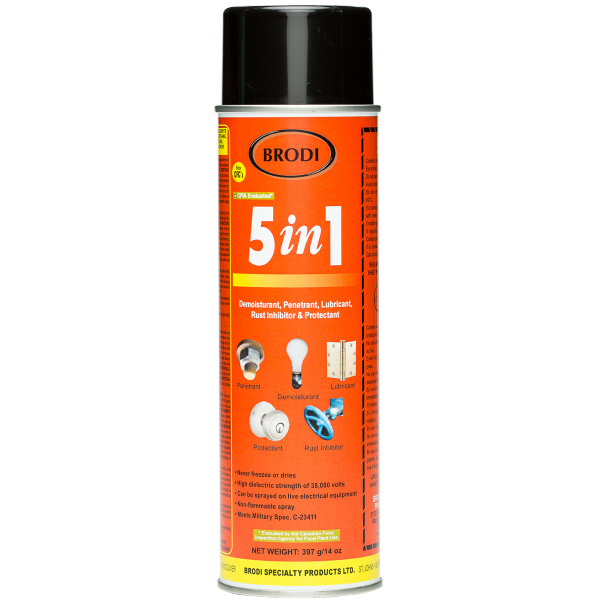 This avoids any damage to live electrical devices exposed to water or moisture. 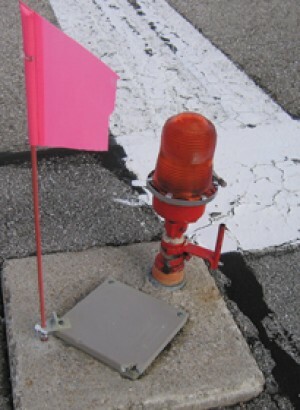 It creates a high dielectric film barrier through which electricity can’t conduct. 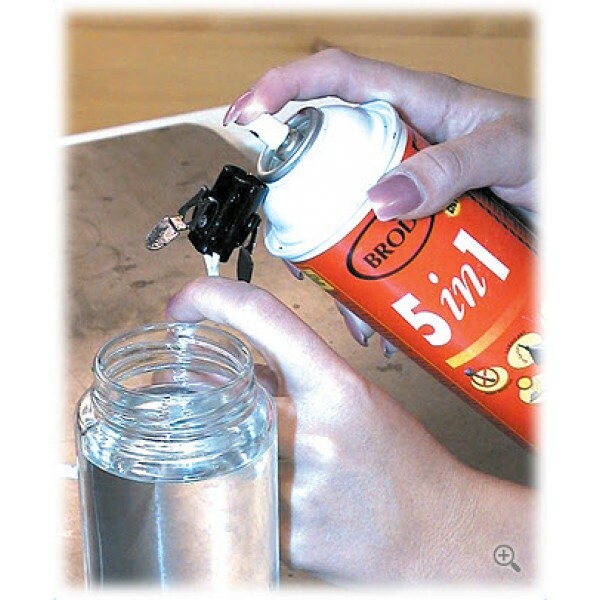 Though the "WD" in WD-40 stands for "Water Displacement", it is a very poor water displacement solution compared to 5 in 1. 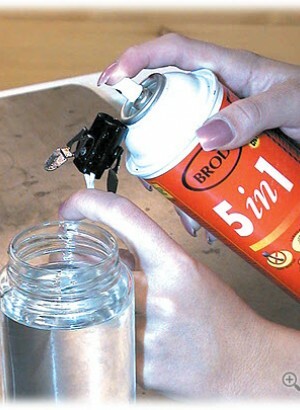 If you take a Styrofoam cup of water and spray 5 in 1 into it, it will quickly move to the bottom of the cup whereas WD-40 will remain floating on top. 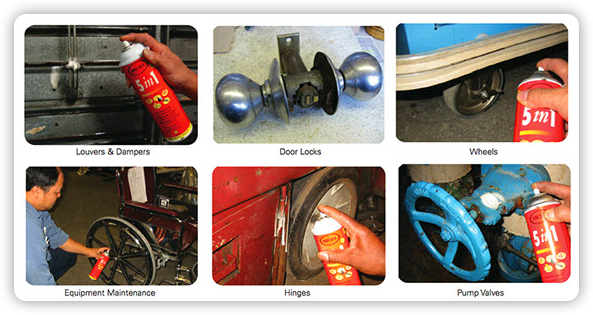 Being a penetrating lubricant, it can be used as a rust preventative spray to prevent corrosion. 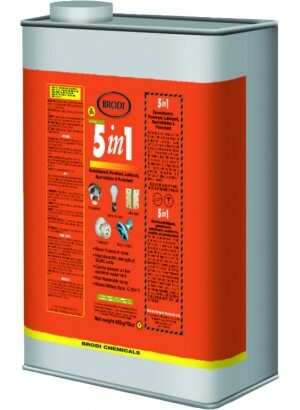 Finally, this lubricating oil is non-evaporating, meaning that it will offer protection over a long period of time and not leave any residue. 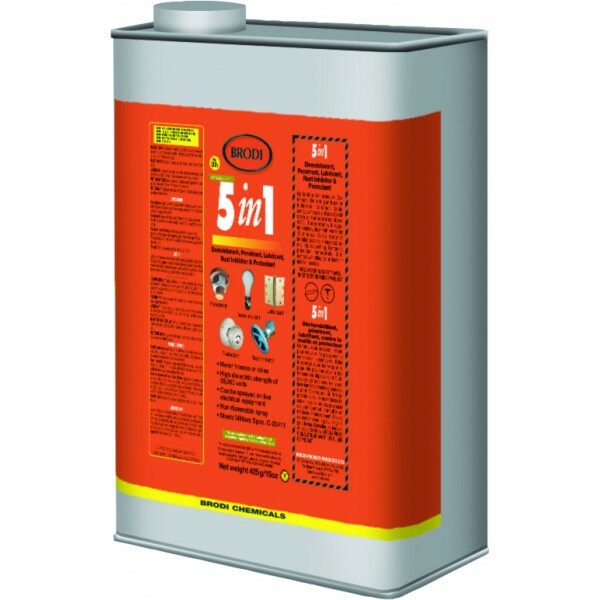 Demoisturizes and creates a waterproof film to inhibit corrosion and electrical discharge. Note: Reviews require prior approval before they will be displayed!